Have you ever gone someplace you have never been to before, and the moment you step into that place you feel like you belong there? Like your soul has been there for 200 years? On October 16, 2004 I had that experience when I walked down the streets of the French Quarter in New Orleans, LA. It was also on this day I discovered the greatest bar I have ever been to; Lafitte’s Blacksmith Shop Bar. Known as the “quiet part of Bourbon Street,” this ghost of New Orleans’s past has been standing on the corner of Bourbon St and St. Phillips since 1722. 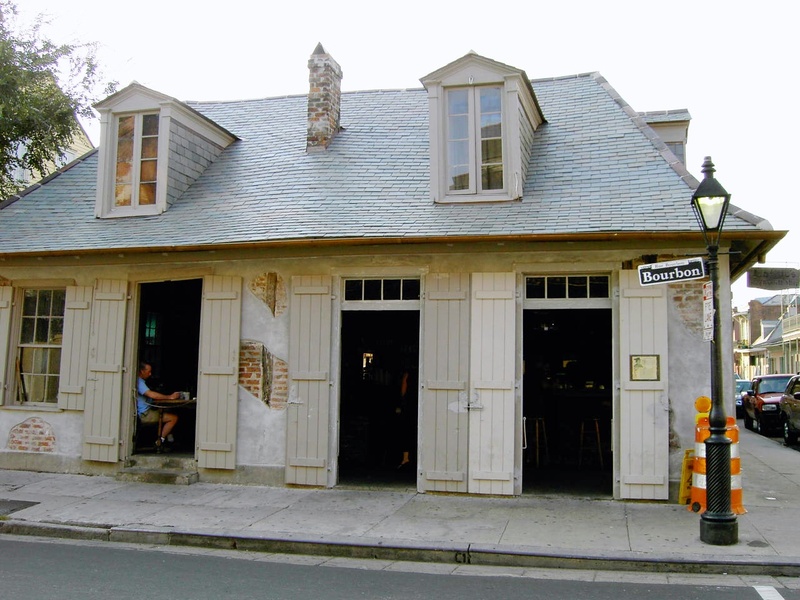 Lafitte’s is one of the only original French architectural structures that survived the fires that ravaged most of the Quarter in 1788 and 1794. 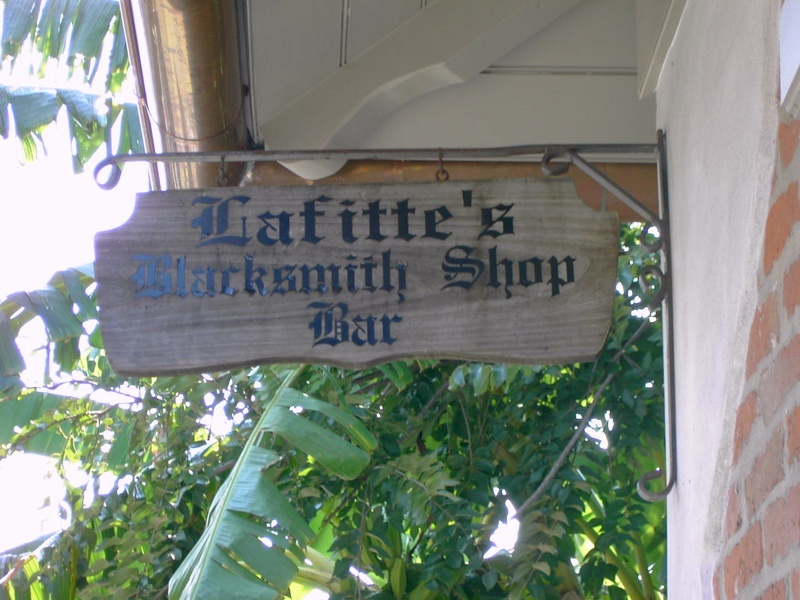 It’s believed that the infamous pirate Jean Lafitte and his brother Pierre began using the blacksmith shop in 1772 posing as blacksmiths to cover their smuggling operation. Lafitte’s has been a public bar since 1772 making it the oldest bar in the United States. During prohibition the bar continued to run as a speakeasy. But enough of the history lesson! 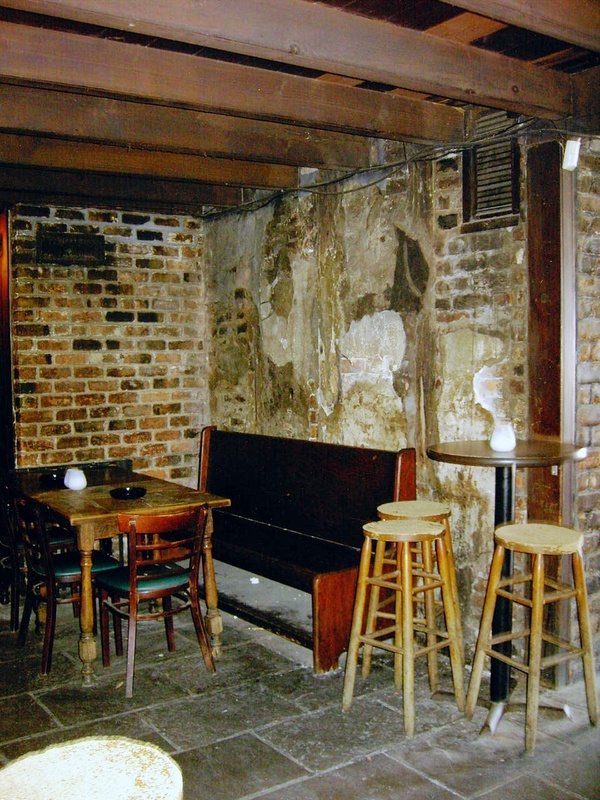 What’s it like drinking in a 240 year old bar? When entering this living museum, my eye was immediately drawn to the two-sided brick fireplace in the middle of the room. 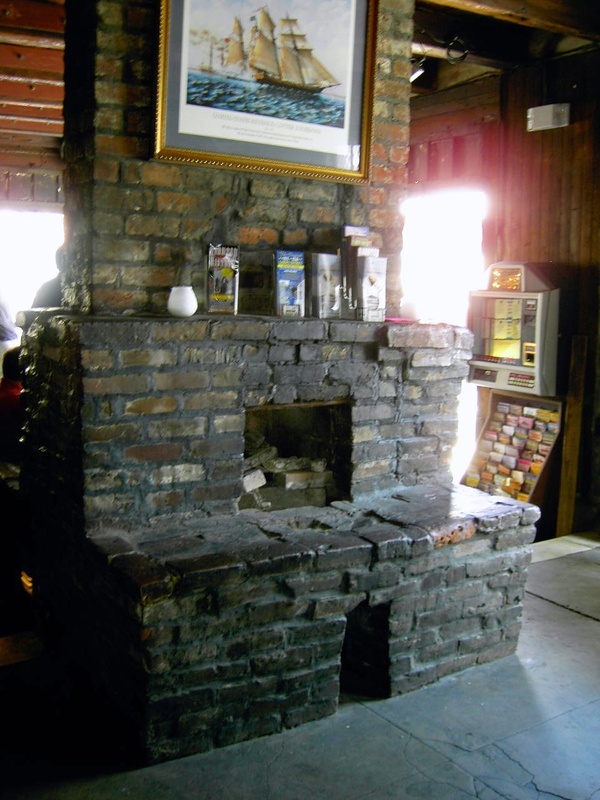 The shape of the fireplace has warped over time giving the fireplace a little bit of a “lean.” Centuries of black ash coats the inside of the fireplace and part of the surround and large painting of Jean Lafitte hangs on one side of the curved chimney. The bar itself is just as eye-catching. 240 years of shoes resting on the brick footrests of the bar have worn groves into the brick. You want light? Not in this place! The only electricity coming into Lafitte’s is from the building next door and is used just for the jukebox on the wall and the refrigerator behind the bar for beer. The exposed ceiling beams are original to the structure and are reinforced with large metal plates. In Lafitte’s, the walls really do talk! Lafitte’s is a great place to escape from the debauchery of Bourbon Street. Southern brews such as Abita and Dixie are served as well as some of the stiffest drinks in the quarter. The only distraction in Lafitte’s was the jukebox. Call me crazy, but I don’t think Christina Aguilera or Justin Timberlake belong in Lafitte’s. As I sat in this truly magical place enjoying my Abita beer, visions of pirates and smugglers swirled around my head. I imaged two centuries of patrons and pirates that walked through those doors and sat at the same bar I was sitting at. I thought about the laughter, music, tears and hardship that New Orleans has gone through over the last three centuries. This bar has survived pirate smugglers, two devastating fires, and Hurricane Katrina. It is a ghost, and it is a survivor. And that’s why Lafitte’s Blacksmith Shop Bar is my favorite bar, ever. I felt the same way on my trips if NO and spent many hours in Lafitte’s. I’ve considered moving there I love it so much.